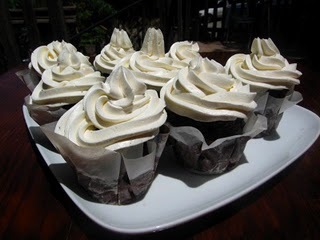 Big Sur Bakery: Definitely a destination, this place is a little off the beaten path. The ingredients were fresh and everything was carefully rustic / artisan style; nonetheless, with a view, location and salty air like they have, it works. They offer classes too--a good reason to return! Highway One, Big Sur; online at bigsurbakery.com. Carmel Bakery: Mostly known for their wonderfully carbohydrate-laden baked goods, their pretzels wonderfully soft, just this side of doughy (although we'd stick with the savory rather than the sweet ones); their scones lean toward "short"--that is to say, buttery and lovely. Ocean Ave. at Lincoln St., Carmel; online at carmelbakery.com. Cypress Baking Company (Via Carmel Coffee): Visiting Carmel coffee, Seattle-based Cakespy was a little saddened to see they used pump-top coffee dispensers, which basically guarantee a lukewarm beverage. But a very pleasant surprise awaited us at the pastry case: beautifully formed lemon bars, cakes and cookies which we were informed were from the local Cypress Bakery. Available at Carmel Coffee, various locations; online at carmel-coffee.com. (Cakespy note: Although we did not visit this location, we found that Cypress Baking Company is located at 1267 Broadway Ave., Seaside). Earthbound Farms: Organic with a capital O, but behind the rows of somber produce (why is it that organic fruit always looks so sad?) there were some delightful baked goods, ranging from the hippie (spelt scones) to the dreamy (rich and velvety carrot cake; dense brownies). 7250 Carmel Valley Road, Carmel; online at ebfarm.com. Wild Goose Bakery Cafe: Unlike some other places in the Carmel Valley, the rustic feel did not feel put-on or secretly oozing money; it felt like the hippies behind the counter had been there since before it was a hip place. The checkerboard shortbread was a standout; the French-meets-Californian style pastries did not disappoint. 18 East Carmel Valley Road, Carmel Valley. Layers: They get an honorable mention for providing the cake at a wedding Cakespy attended. Velvety buttercream and tart layers of lemony cake made us wish we had more time to visit the retail location, which we hear boasts a full walk-in bakery. 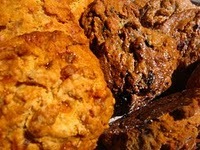 160 Webster St (b/t Munras Ave. & Hartnell St.), Monterey; online at layerscake.com.